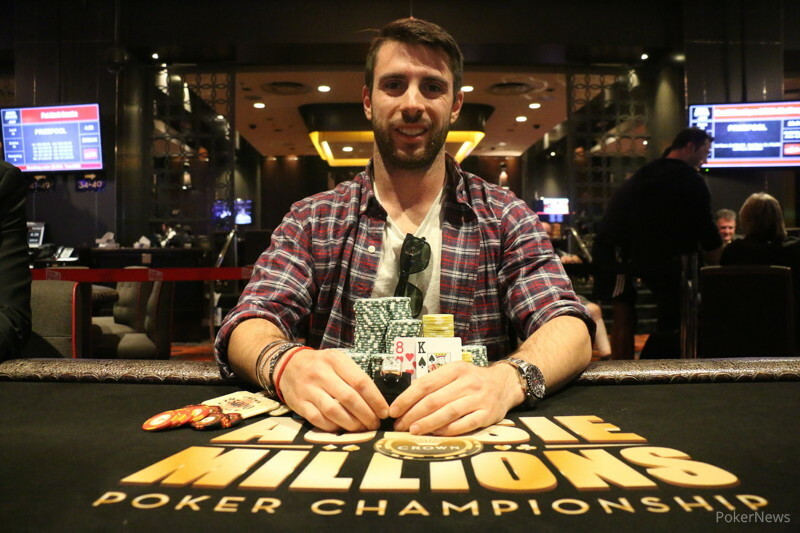 Adelaide, Australia's Dion Mavrangelos took down the 2016 Aussie Millions Event #20 $1,500 No-Limit Hold'em Deep Freeze title inside the Crown Poker Room on Monday. Mavrangelos earned $98,635 in prize money and an LK Boutique Aussie Millions championship ring, ultimately defeating a field of 323 entries over three days. 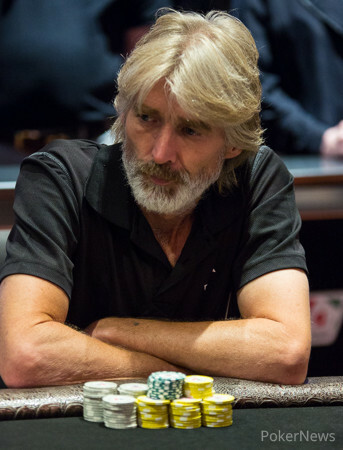 The final table kicked off just after noon Melbourne time Monday and German Dietrich Fast was the first to exit, running a big ace into Elliot Smith's kings. Michael Wang ran nines into Andy Chong's jacks to go out ninth and short stack Milton Trickey busted eighth getting it in with king-high and failing to improve versus Smith's ace-high. Wing Sang Lee started the final table with the chip lead, but seemed determine to bluff it off, first handing heaps to Sarah Bilney when he called off a five-bet shove with king-high versus ace-queen, then ultimately getting unlucky with eights versus Smith's rivered set of sevens to say goodbye seventh. 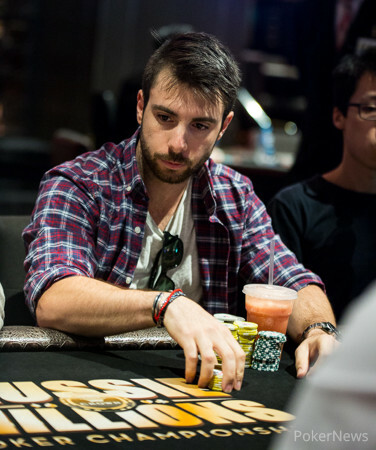 Bilney couldn't hold on to those chips, however, busting fifth after Andy Chong was eliminated in sixth. Smith flirted with the lead at several points throughout the final, but could do no better than fourth and although Japan's Takuya Yamashita had about half the chips in play three-handed, he paid off Graham Jamieson in a big pot and got trapped by Dion Mavrangelos in another, eventually busting third. Heads-up play between Jamieson and Mavrangelos started about even and they chopped up the prize money, taking $78,000 each and leaving $5,620 and the ring to play for. Mavrangelos took a 2:1 lead winning a battle of full houses, but Jamieson struck back, taking a 2:1 lead of his own with a full house over a flush. Mavrangelos soon evened things up and kept the pressure on, chipping away at Jamieson with big bets and all-in raises until he had a better than 5:1 lead. Although Jamieson doubled once, getting it in bad with five big blinds and finding a flush, he couldn't manage it a second time bowing out with queen-high versus king-high to give Mavrangelos the title. After doubling up just two hands earlier with against and making a flush, Graham Jamieson has just been eliminated in second place. Dion Mavrangelos shoved again and Graham Jamieson called it off with the . Mavrangelos was ahead again with the and this time he held on a board, eliminating Jamieson second and winning the tiitle. Graham Jamieson called from the small blind and Dion Mavrangelos raised it up to 400,000 from the big blind. Jamieson made the call and the flop came . Mavrangelos led out for 200,000 and Jamieson made the call. The turn card was the and Mavrangelos checked. Jamieson bet 450,000 and Mavrangelos check-raised himself all-in. 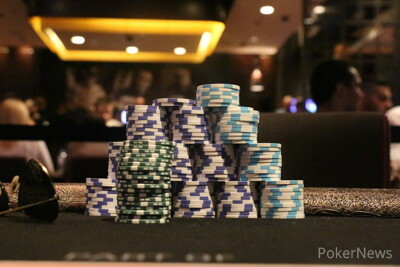 Jamieson thought for a while before eventually folding, leaving himself 1.1mil behind. Mavrangelos now has a commanding 5-1 chip lead. On a board reading , Graham Jamieson led out for 175,000 and was raised to 475,000 by Dion Mavrangelos. He thought for a moment before making the call. The river card was the and Jamieson checked. Mavrangelos bet 450,000 and Jamieson made the call. Dion Mavrangelos opened for the nut flush, but was outdone by Jamieson, who tabled for Aces full of Fives. Dion Mavrangelos raised to 200,000 from the small blind and Graham Jamieson made the call. The flop came and Jamieson led out for 200,000. Mavrangelos made the call and the turn card was the . Jamieson led out again for 200,000 and Mavrangelos made the call. The river card was the and Jamieson led out once more, this time for 350,000. After a small pause, Mavrangelos made the call and the cards were opened. Jamieson showed for sixes full of eights, and Mavrangelos showed for sixes full of Jacks. Mavrangelos now has close to a 2-1 chip lead. The chips are flowing back and forth in this heads-up battle. Small blind makes it 200,000, big blind raises to 500,000, small blind folds - and again in reverse the next hand. Chip counts still approximately even. 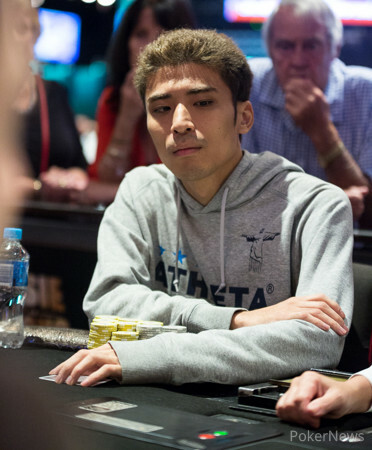 Takuya Yamashita shipped it in for 330,000 over a Dion Mavrangelos raise to 200,000. Both opponents called and checked down the board. Yamashita turned over the , but ace-high was no good as Mavrangelos had the and had made a pair. With that pot, Mavrangelos heads into heads-up play with Graham Jamieson within a couple of big blinds. The Aussie Millions Deep Freeze Final Table Starts Now!